With the recent announcements of Quantum Break (launching on Windows 10 alongside Xbox One on April 5) and ReCore for PC, it’s pretty clear that Microsoft has modified its policy when it comes to bringing Xbox exclusives to the PC platform. Admittedly, Xbox games have made the same jump in the past, with Fable – The Lost Chapters, Fable III, Gears of War, Alan Wake, Fable Anniversary and State of Decay being the most notable examples. However, there used to be an unwritten rule: these ports were mostly limited to secondary franchises and even when they weren’t, Microsoft only allowed it to happen after a certain period time had passed since the Xbox release, to avoid hurting its own console’s sales. This is all changing in 2016, with Redmond’s giant bringing its heavy hitters to Windows 10 PC just like Head of Division Phil Spencer promised it would. Why is it happening, though? On one hand, we have Xbox One faring considerably worse than its Xbox 360 predecessor in terms of sales; on the other hand, we have Microsoft realizing the sales potential of the huge Windows 10 PC install base, particularly if it could develop traction for its Windows Store (despite the current issues for games). It just makes perfect business sense, then, and speculations have begun already on the next Xbox IP due to make the jump. Considering the current line-up, there are only two major franchises left for consideration: Halo and Forza. From a business standpoint, it’s quite obvious which one should be chosen. While Halo is still a huge money making machine (Halo 5: Guardians broke the record for the biggest Halo launch in history), Forza Motorsport 6 barely made it past the one million sales milestone, registering similar results to Forza Motorsport 5 and Forza Horizon 2. There’s literally no doubt that these numbers could be vastly improved with a release on Windows 10, even just by looking at Rise of the Tomb Raider getting 3X digital sales on PC versus Xbox One. Moreover, PC gamers have been interested in Forza titles for a long time and Microsoft is fully aware of this. Now, it looks like their wish might be about to come true. Off to Geneva tomorrow for the show. Keep an eye out for lots of news, across the entire @ForzaMotorsport franchise, starting in March. Turn 10 Studios’ Creative Director Dan Greenawalt tweeted a few hours ago that fans should keep an eye out for lots of news across the entire Forza Motorsport franchise, starting in March. What could be more exciting than bringing Forza to a brand new platform, full of eager customers? Of course, the question would then be which one to pick between Forza Motorsport 6 and Forza Horizon 3, due for release later this year. There are good arguments for both. Releasing Forza Motorsport 6 would probably avoid the backlash of the Xbox community, since it would happen with a certain delay over the XB1 version; however, the more arcade FH3 might fare better on a platform that is already chock-full with racing simulations. Actually, Chinese website WPDang recently released a rumor saying that both could be heading to Windows PC. Either way, it won’t be a problem for Turn 10 as Forza Motorsport 5 was actually the first DirectX 12 demo Microsoft showcased back at GDC 2014. At that time, Software Architect Chris Tector mentioned that it took a four man team just four months in order to port Forza Motorsport 5 on PC with DX12 and get it running at 60FPS. He also said that Turn 10 was excited to see console-style development efficiency on PC through DX12. 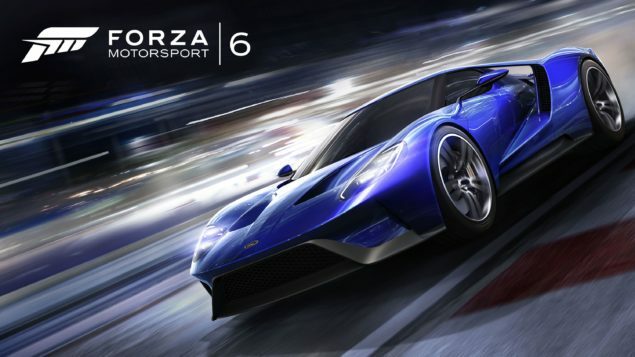 That soon sparked questions from both the press and customers interested in Forza 5 for PC, but Microsoft quickly dismissed the notion and added that they had no plans to release FM5 or any other Microsoft Studios Xbox One title on PC. That was two years ago, though, back when Microsoft likely had very different hopes for his new Xbox One console. The plans have obviously changed now, and with no barrier of any kind left it might just be high time for Forza’s arrival on Windows 10. Furthermore, releasing Forza Motorsport 6 or Forza Horizon 3 on PC would indirectly benefit Xbox One as well. How? Well, for instance by creating a much larger online community. As Marketing Head Aaron Greenberg recently said, Microsoft is trying to break down the walls and bring PC & XB1 gamers together through Cross-Play, Cross-Buy and Cross-Save; these services are being pushed throughout most of the 2016 lineup. With a more vibrant online community, even DLC sales could be higher. Microsoft finally realized that in the current PC/Xbox One situation, there is virtually no downside to launching its games on both platforms and exploiting the convergence of the underlying DirectX/Xbox Live environment. The biggest events in March are GDC 2016 and Microsoft’s Build, but there’s also the recent event Microsoft organized for the press in San Francisco. While it technically took place on February 25, the embargo for the news will be up on Tuesday – incidentally, March 1st. We’ll make sure to keep you up-to-date on any news regarding the Forza franchise, so stay tuned on Wccftech.